PLEASE READ THIS USER AGREEMENT CAREFULLY BEFORE USING THE PLATFORM. Oyi (THE PLATFORM, ITS SERVICES AND FUNCTIONALITY) IS NOT A MEDICAL AID. the “Credit Receiver”, “You”, “your” means, the person whose name appears on the Medical Card application form, pre-agreement statement and quotation and to whom we grant credit on these Terms and Conditions; and “Debt Collectors Act” means Debt Collectors Act 114 0f 1998. 1.5. where any term is defined within the context of any particular clause in this agreement, the term so defined has limited application to the relevant clause, shall bear the meaning ascribed to if for all purposes in terms of this agreement, notwithstanding that the term has not be defined in this interpretation clause. 2.1. Your access to, and use of, the Oyi Platform and its services is subject to the terms and conditions set out in this user agreement. 2.3. Regardless of the platform, gateway, portal or mode of access you use to access the Oyi Platform. Your internet provider may charge you for accessing the Oyi Platform or for any usage of the Platform. Oyi cannot be held responsible for these charges. 3.1. We may change the terms and conditions of this user agreement from time to time. We recommend that you familiarise yourself with this user agreement regularly. 3.2. The current version of this user agreement will apply each time that you access and use the Platform. 4.1. By using the Platform, you agree to the terms and conditions of this user agreement. If you do not agree to all of the terms and conditions, please do not continue to use the Platform. 5.1. Any application is subject to our internal credit approval criteria, these terms and conditions, and the Act. Subject to the Act, we have the discretion to decline your application if you do not meet our requirements, to determine and decrease any credit limit and we have the right to withdraw or close the facility at any time. 5.2. Your application (which sets out the selected credit limit, costs and further details of the credit facility as required by the Act), will be considered based on the information you have provided to us. You warrant that the information is true, accurate and correct. 5.3. Upon successful application we may provide you an amended preagreement statement and quotation which will set out a varied credit limit, costs and further details of the approved credit facility as required by the Act. 2.4. On acceptance of the application form and/or quotation, these terms together with the preagreement statement and quotation will form the agreement between us. 5.4. The first time that you purchase on your facility, swipe your card and enter your PIN for the purchases, these actions will constitute your acceptance of the credit facility and its terms and conditions. 5.5. You are requested to provide us with information on any changes to your financial position, income and/or your ability to pay us; to enable us to review your affordability assessment and to apply such relief, as may be indicated by the NCA. 6.1. You will be issued with a Oyi Medical Card which you must sign using a ballpoint pen. 6.2. You are the only person who may use your card and you cannot transfer it to any other person or authorise any other person to use it. 6.3. If you have requested additional cards on your facility, you will be responsible for the purchases made using such additional card. Any additional card issued by us against this facility must also immediately be signed by the person that you nominate to use that additional card. Only you or your nominated additional cardholder may use the additional card. 6.4. Ownership of the card(s) vests with the issuer of the card and you must return the card(s) on demand. 6.5. You may use the card to make purchases at any medical and healthcare provider, or any such merchant that we accept, against the credit facility provided by us. You cannot make purchases unless you produce your card. 6.6. You are responsible for the safekeeping of the card. If your card (or additional card) is stolen, you must immediately notify us by phoning 061 486 9787. If you fail to notify us that your card (or additional card) is lost or stolen, you will be liable for any purchases charged to your account until such time as such card is reported lost or stolen. 7.1. The balance owing by you from time to time may not exceed your credit limit which is the initial credit limit referred to in your application form and/or pre-agreement quotation. 7.2. Should you wish to obtain a temporary credit limit increase, you will have to inform us of this so that we can record this. If we agree, the credit limit will be temporarily increased for a limited time and always within our discretion. After repayment of that increased amount, your credit limit will be reduced to what it was before the increase. 7.3. Should you at any stage wish to have your credit limit increased other than as above, then you must request us to do so. We will then conduct the necessary affordability assessments, for which we will require your three latest payslips, bank statements, or other proof to validate your gross income, as per the Act. 7.4. You may instruct us at any time to reduce your plan option credit limit or to set a maximum credit limit. We have the right to reduce, change or cancel the facility and credit limit. 8.1.6. the repayment amount you must pay by the due date. 8.2. Non-receipt of your statement does not free you from your obligation to pay any amount due to us as you can obtain information from us about your account and your balance by telephoning 061 486 9787 during normal office hours. 8.3. We must receive at least the minimum instalment due as indicated on your statement, or the monthly service fee amount (whichever is the greater) on or before the due date as indicated on the statement. 8.4. You may prepay any amount owed to us at any time. 9.1. The interest rate applicable to your credit facility is the interest rate quoted on the application form, pre-agreement statement and/or quotation, and shall not exceed the maximum amount permitted by the NCA from time to time. This maximum NCA rate is linked to the SA Reserve Bank Repurchase Rate (“Repo Rate”) and subject to a formula provided for in the NCA. Whenever the Repo Rate increases or decreases or the formula in terms of the NCA changes, the interest rate payable by you will increase or decrease accordingly. Changes thereto will be notified to you in writing by way of your monthly statement. 9.2. Interest will be calculated on a daily basis and compounded monthly, on the due date of the instalment, on the full outstanding balance, until date of payment. The interest may be added to your outstanding balance. 10.1. We will charge you a monthly service fee. At our discretion the monthly service fee may be increased from time to time provided that it will not exceed the maximum as prescribed by the National Credit Act. The monthly service fee will be debited to your account each month. The monthly service fee may from time to time be waived by us in whole or in part in our sole discretion. 10.2. We may charge you an initiation fee on opening your account which will be specified in the application form and/or pre-agreement statement and quotation. The initiation fee, if applicable, may be paid by you upfront. If you do not choose to pay it upfront, it will be added to your balance pro-rata to the purchase transaction amount. 11.1. We will notify you in writing or by SMS if you are in default and we will suggest that you refer the agreement to a debt counsellor, alternative dispute resolution agent, consumer court or ombud with jurisdiction, to resolve a dispute in terms of the agreement or to agree on a plan to bring the payments up to date. 11.2. If you have been in default for at least 20 business days and at least 10 business days have passed since we sent you notice and you have not responded to the notice, or have responded by rejecting our proposals, we may cancel the agreement or approach a court for an order to enforce the agreement. The 20 day and 10 day periods may run simultaneously. 12.1.3. we reserve the right to charge you interest, at the same rate as indicated in the application form and/or pre-agreement statement, and default administration charges should your Account be in arrears or should you be in breach of this agreement, and any collection costs that we may incur in enforcing your monetary obligations under this agreement. These fees, charges and costs will not exceed the maximum allowed by the National Credit Act. 12.1.5. if we have to institute legal action against you (issue a summons) you will be liable for all legal costs including legal costs, collections costs and tracing fees. 12.2. The above costs will be debited to your account, as well as such other charges as and fees as provided for in the NCA. 12.3. Judgement may also be taken against you. A certificate signed by any of our managers (whose appointment and authority need not be proved) in which the amount of your indebtedness to us and the interest rate applicable to your facility is stated, shall be sufficient proof of you indebtedness in any legal proceedings and shall be regarded as prima facia proof until you prove that the amount or the interest rate is incorrect. If for any reason or purpose we do not immediately enforce or implement any of our rights in terms of this agreement, it does not mean that we have abandoned, given up or waived such rights. In terms of section 45 of the Magistrate’s Court Act, 32 of 1944, (“MCA”) you hereby consent that we may institute any legal proceedings that have to do with this agreement or your account, in the Magistrate’s Court, being any Magistrate’s Court, which in terms of section 28 of the MCA, has jurisdiction. We can however choose to institute action against you in any other court having jurisdiction. The home address you gave us when completing the application form is the address which you choose where legal notices and any process may be served on you (your “domicile address”) in the manner you elected in your Application. Your mail address (be it residential, postal or electronic) will be used to forward statements, notices or other communication. You must inform us if you move to another address or change your address. 17.1.4. provide, disclose and register the existence of this agreement and any personal information and detail relating thereto, the persons in 14.1.2 above, sharing positive and negative information about you or your credit account, including non- compliance with the this agreement. 17.2. You acknowledge and understand the credit bureau will provide us with credit profile information and a credit score reflecting your credit- worthiness. 17.3.3. where it is in our, or the public interest to so disclose. 17.4. You agree that the personal information provided by you, may be used by Oyi and its partners for marketing and related purposes. Should you not wish us to use your information for this purpose you must advise us thereof in writing. 17.5. You waiver any rights or claims you may have against us relating to the provision of information by or to us in terms of this agreement. 17.6. You have the right to contact the credit bureau, have your credit records disclosed to you, to challenge such information and have inaccurate information corrected. The credit bureau used by us is: TransUnion Credit: telephone: 0861 48 24 82. 17.7. You can also file any complaints with the National Credit Regulator on 0860 627 627 or contact the National Credit Tribunal. 18.1. When you visit the Platform or send e-mails to us, you accept that we can communicate with you electronically. All records that you send to us may be stored electronically and with third parties, although these third parties are bound by the strictest levels of confidentiality. These electronic records shall be proof of the records, unless you can prove otherwise. 18.2. Any electronic communication (for example, an e-mail or SMS) sent to you will be regarded to have been received by you upon being sent by Oyi. This includes, but is not limited to mobile push notifications. 18.3. If you are a registered user of the Website, you will receive communications from us via e-mail. If you do not want to receive e-mails from Oyi, you may change the way you receive your communication on the website, or you can phone our contact centre. 18.4. Oyi takes all reasonable steps to protect your personal information and maintain confidentiality, including the use of encryption technology. However, we cannot guarantee the security or integrity of any information you transmit to us online and you agree that you do this at your own risk. 18.5. You agree that all agreements, notices, disclosures and other communications that we provide to you electronically meet any legal requirement that the communications be in writing. 19.1. All content made available on the Platform (for example, text, graphics, logos, button icons, images, audio clips, digital downloads, data compilations, and software) belongs to Oyi, unless we expressly state that it is not and is protected by South African and international law. In addition, the compilation of all content on the Platform is the exclusive property of Oyi and is protected by South African and international copyright laws. 19.2. Except if permitted under this or another agreement with Oyi no portion of the Oyi Platform may be copied or transmitted via any means available now or in the future. 19.3. Any unauthorised use, alteration or dissemination of the information or content on the Oyi Platform is prohibited. 19.4. You agree that if you breach the terms of this clause 13, Oyi will have the right to claim damages against you, which will include the right to claim special, incidental, consequential or indirect damages. Oyi will also be allowed to claim for loss of profits and loss of business and will also be allowed to recover all legal costs on a scale as between attorney and own client. 19.5. Nothing on the Platform should be regarded as granting any licence or right to use any trademark without Oyi's prior written permission and/or that of any third party. 19.6. Oyi tries to ensure that the most sophisticated technology protects the information on the Platform. However, Oyi cannot be held responsible for any consequences that may result from the unlawful breach of copyright or unlawful dissemination of information by third parties copying information off the Platform. If you suspect a breach or where a breach may have taken place and this comes to your knowledge, please contact us as soon as possible so that we can address the problem. 20.1. The contents of the Oyi Platform are provided “as is” without warranty of any kind, either expressed or implied, including but not limited to warranties of merchantability, fitness for a purpose and non-infringement. Oyi assumes no responsibility for errors or omissions in the content. Oyi further do not warrant, guarantee or make any representation regarding the safety, reliability, accuracy, correctness or completeness of the content. Oyi shall not be liable for any direct, indirect, general, special, incidental or consequential damages (including -without limitation- data loss, lost revenues and lost profit) which may result from the inability to use or the correct or incorrect use, abuse, or misuse of the website and its contents, even if Oyi has been informed of the possibilities of such damages. Oyi cannot assume any obligation or responsibility. The use of these contents is forbidden in those places where the law does not allow this disclaimer to take full effect. 21.1. While Oyi makes every effort to ensure that the content and information on the Platform is complete, accurate and up to date, we make no guarantee about the suitability of the products and services on the Platform or whether they are complete accurate or appropriate. 21.2. You agree to fully indemnify Oyi, its directors and employees, and will not hold us responsible for any claim relating to your use of the Platform. 21.3. You agree to fully indemnify Oyi, its directors and employees from any errors or inaccuracies or incomplete information made available by third parties (including Medical Practitioners) on the Platform and agree that, we will not be liable for any loss or damages, including direct, indirect and consequential loss, that may arise from any disclosure to or by any third parties. 21.4. You agree that all information, including products and services or any terms or conditions relating to them, on the Platform may change. Oyi will notify you of the important changes within a reasonable time. 22.1. If you receive an unsolicited e-mail that appears to be from Oyi and that requests you to provide personal information (such as your credit card number, user name, or password), or that asks you to verify or confirm your Oyi information by clicking on a link, it is most likely that the e-mail was sent by a "phisher" or "spoofer." 22.2. Oyi will never ask for this type of information in an e-mail, and we strongly recommend that you do not respond to these e-mails and that you do not click on the link. Responding to “phishing” places you and your personal information at risk. Oyi cannot be responsible for any consequences resulting from your response to any email sent by a "phisher" or a "spoofer". 23.1. The Website may contain certain images and links to other third party websites with information, content or material produced by other parties. These linked third party websites are not under the control of Oyi and Oyi is not responsible for the information, content or material on any linked website, including, any link contained in a linked website, or any changes or updates to a linked website. 23.2. Oyi is providing these links to you only as a convenience, and you agree that the inclusion of links does not imply an endorsement by Oyi of the linked website, their business or security practices, or any association with its operators. 23.4. Should you have any queries arising from transactions you conclude with such third parties, you will be required to contact them directly. 24.1. 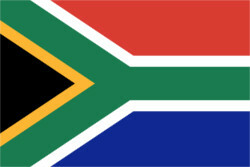 By accessing and using the Platform, you agree that the laws of the Republic of South Africa will govern this user agreement, and you consent to the jurisdiction of the South African courts in respect of any dispute which may arise from this user agreement. 25.1.3. once Oyi has collected and analysed your personal information, Oyi may send you promotional material or details which we think may be of interest to you. 25.1.5. to conduct academic research. This research is conducted to evaluate and improve Oyi’s product offerings. You are advised that information may be shared with third parties such as academics and researchers. All information collected for research purposes will be kept strictly confidential and all data will be depersonalised. No personal information will be made available to a third party without your written consent. If we publish the results of this research, you will not be identified by name. 25.2. Your privacy is important to us and we will therefore not sell, rent or provide your personal information to unauthorised third parties for their independent use, without your consent. If at any stage after you have given Oyi your consent you no longer wish Oyi to use or share your personal information, you may at any stage withdraw your consent. 25.3. You accept that we may store your personal information outside of the region or country that you may submit or use it in. 26.1. Oyi values the information that you choose to provide and will take reasonable steps to protect your personal information from loss, misuse or unauthorised alteration. The information Oyi has concerning Oyi clients is stored in databases that have built-in safeguards to ensure the privacy and confidentiality of that information. 26.2. When you use the products, services, facilities, tools or utilities provided by Oyi on the Platform, you may be given an access number, user name and a password. You must always keep your user name, access number and password a secret and ensure that you do not disclose it to anyone. 27.1. If you ever want to update or correct any of your personal information held by Oyi, you can e-mail us or you can phone our contact centre. 28.2. Oyi may enter into arrangements with its partners or other third party suppliers which will require us to disclose your personal information to these third parties for the purpose of transferring data to us from a device(s) that measures bodily functions or fluids. You hereby consent to Oyi disclosing your personal information to these third parties for this purpose and you also consent to receiving data about yourself from these third parties. If at any time after you have given Oyi your consent you no longer wish to disclose your personal information to these third parties, you may at any time withdraw your consent. 29.2. Oyi engages third parties that help us deliver banner advertisements and other online communications. The third parties may collect and use information about Oyi customers to help us understand the offers, promotions, and types of advertising that are most appealing to our customers. The personal information they collect is aggregated and cannot be linked to a person. 29.3. Third party vendors show Oyi ads on sites on the internet. 30.1. We may monitor and record all phone calls with you. 30.2. You confirm that the terms and conditions and the meaning and consequences of this agreement have been presented and explained to you in a language that you understand. The risk relating to the agreement as well as your rights and obligations have also been explained to you. 30.3. If you are married in community of property, you confirm that you have obtained the written permission of your spouse to open this Account and to accept increases in the Maximum Credit Limit and/or Credit Limit applicable to your Account. 30.4. We are entitled at any time to cede, assign or transfer any or all of our rights and obligations hereunder to any person. 30.5. We will not be held liable for any loss or damage sustained by you or a third party regarding either the application for credit or regarding this agreement. 30.6. If we cannot enforce any condition under this agreement, it will not affect any of the other conditions under this agreement. 30.7. In order to be valid and binding, and unless such amendment is made in accordance with the NCA, any changes or amendments to this agreement must either be made in writing or be recorded telephonically and thereafter verified by us in writing. We may however at any time amend or replace these terms and conditions and if we do so, it does not mean a novation of the agreement, any transaction or your indebtedness (meaning that a new agreement does not come into place). 30.8. The application form and/or pre-agreement quotation and these terms and conditions, forms the whole agreement between you and us regarding your credit facility, and this is governed by and interpreted in accordance with the laws of the Republic of South Africa. 30.9.3. mass distribution of email or SMS messages. Oyi is proudly South African. We strive to enable affordable access to quality healthcare. Ours is a social purpose to build healthy communities and sustainable wellness. Quality healthcare is a basic human right...we make it an accessible reality for everyone!